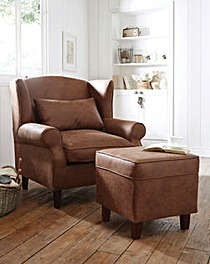 Faux Leather Wing Armchair is rated 5.0 out of 5 by 2. Our classic wing back armchair has become so popular, we’re now offering it in a luxurious faux leather finish, lending it a stately look befitting of a traditionally styled drawing room or study. Crafted to the same high standards as our fabric wing back chairs, it’s built on a strong, solid wood frame, offers the support of rolled arms and deeply padded cushions. For complete comfort, the side wings offer a nesting place to rest your head. Plump, comfortable natural feather filling. 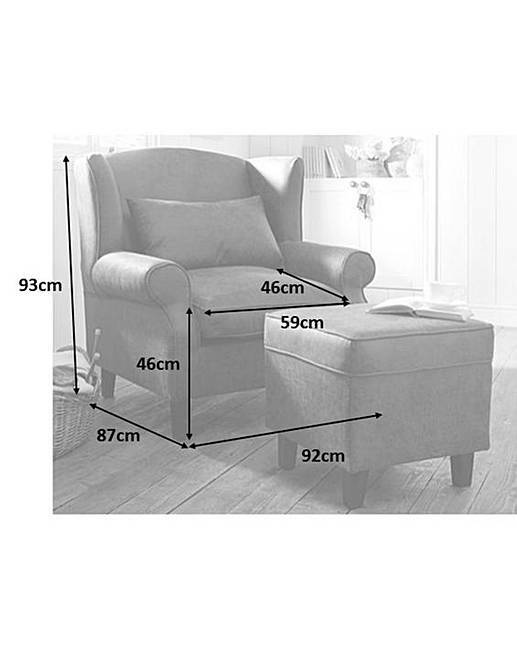 Armchair measures H.36½ x W.36 x D.34in. Seat height measures H.18in. Rated 5 out of 5 by Avyru from Lovely comfy chair! 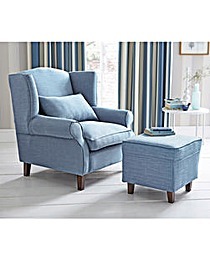 Love this chair. Extremely comfortable and looks great!